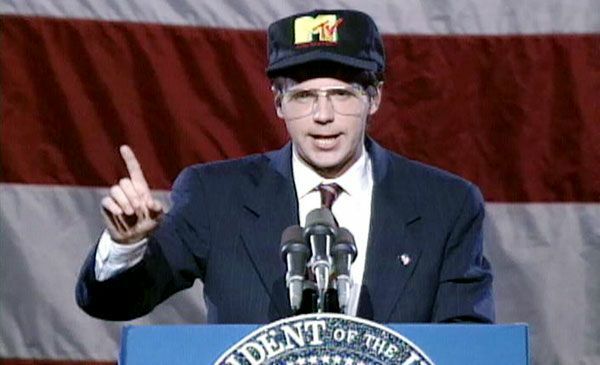 09.09.92, Los Angeles: Dana Carvey opens 1992's festivities with a prudent message from President George Bush (the first one! ), proving that politics and rock 'n roll really do mix. 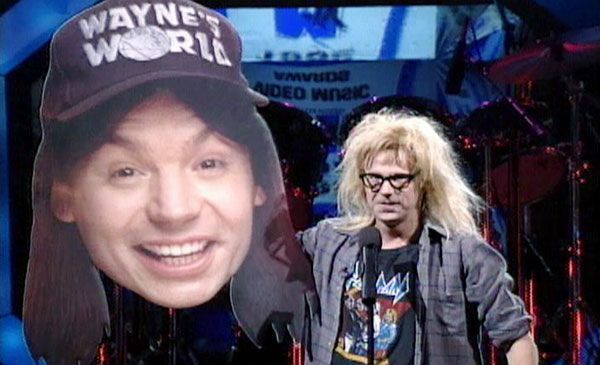 09.09.92, Los Angeles: Mike Myers' head is so bloated from the outrageous success of Wayne's World that it has to appear at the VMAs without his body. Garth does not look happy. 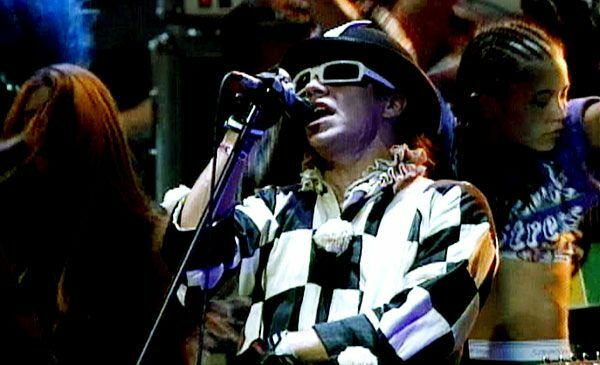 09.09.92, Los Angeles: Anthony Kiedis of The Red Hot Chili Peppers brings a crowd onstage to liven up the band's performance of "Give it Away." 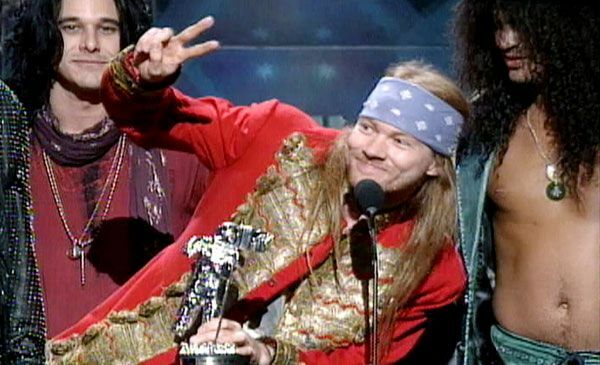 09.09.92, Los Angeles: Axl Rose greets the audience as he, Slash and the rest of Guns N' Roses receive the Michael Jackson Video Vanguard Moonman. 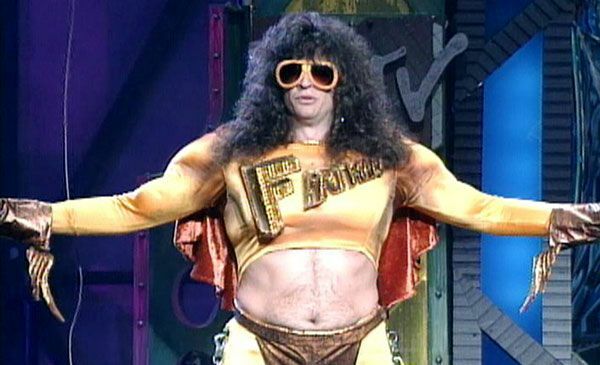 09.09.92, Los Angeles: Howard Stern's Fartman flames it, blames it and descends from heaven to present a Moonman in all his cheeky glory. 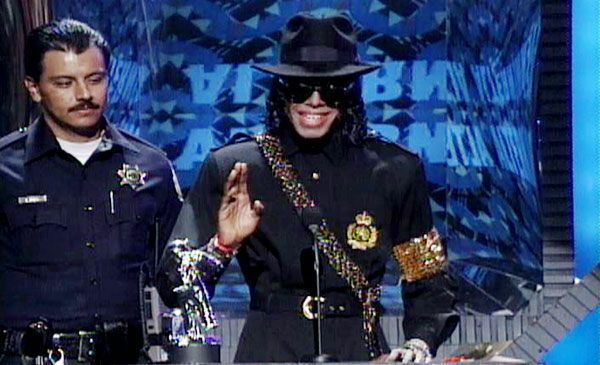 09.09.92, Los Angeles: A Michael Jackson impersonator accepts Nirvana's Best Alternative Video Moonman, claiming he has resigned his role as King of Pop to become the "King of Grunge." 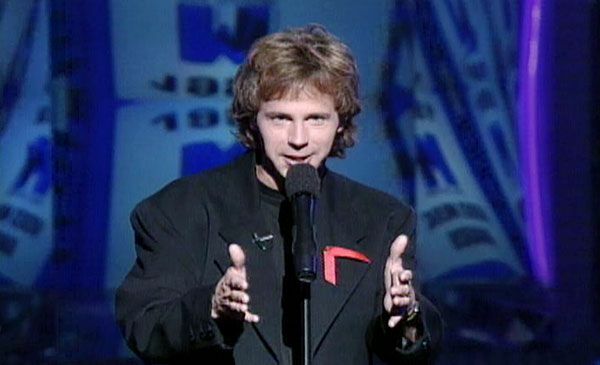 09.09.92, Los Angeles: Host and SNL alum, Dana Carvey, presents the show's epic finale.